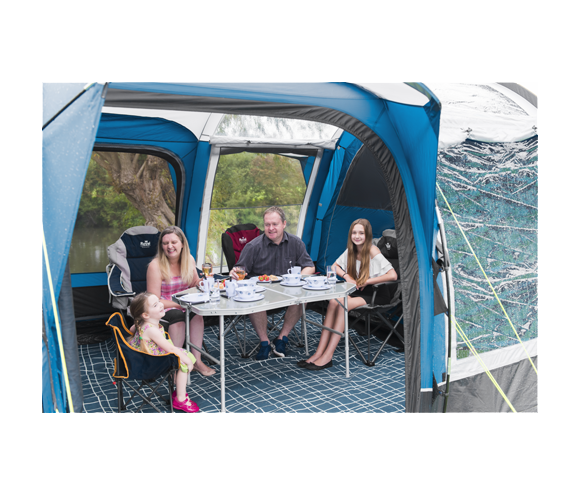 The Buckland 8 Person Tent is the ideal family tent for a camping holiday. 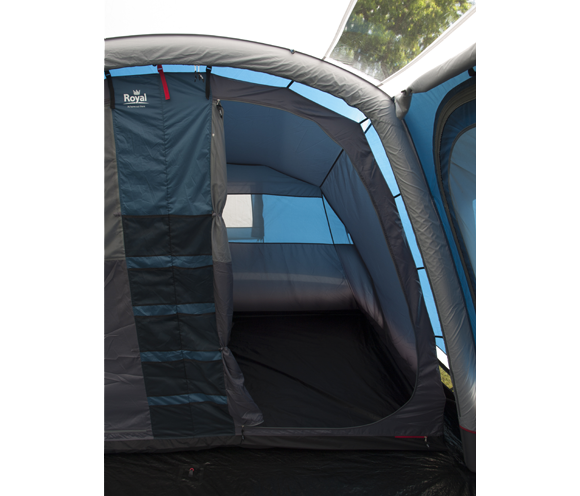 The tent is spacious, with pre-angled poles to enable a larger internal area. 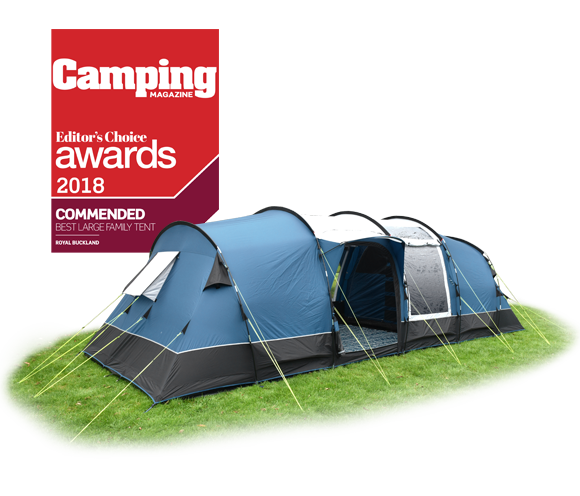 The 2 double inner tent compartments have pitch black inner tent fabric to block out daylight, and to give a fresher feel the mesh doors increase ventilation to reduce condensation. 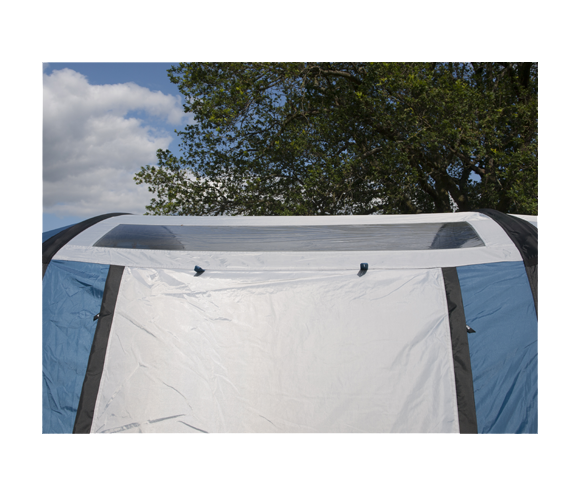 Made from high-quality 185T polyester, the seams of the tent are taped and the zips are protected. The material has a 3000mm hydrostatic head ensuring that it is waterproof. With its 12.7mm fibre-flex pole frame and its ring-and pin tie-down reflective guy ropes, this tent can withstand adverse weather conditions. 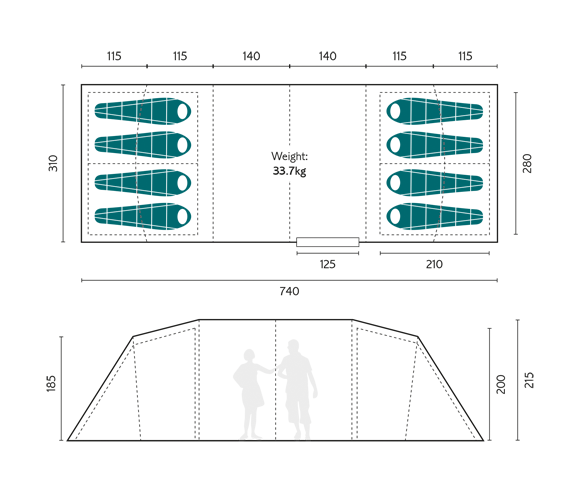 With a manageable weight of 33.7kg and a much smaller packed size, this tent is also easy to transport.